The move to value-based care isn’t just changing the way that providers think about delivering care, it’s also changing the way they think about reimbursement. While many physicians are now embracing risk-based models, others are concerned by the lack of access to such products in their areas. Below we examine the shift in provider thinking, explore the data behind the trend, and the obstacles that remain. While there may be some uncertainty ahead in the adoption of risk-based models, practices that start the process with solid internal patient pay and coding systems are definitely ahead of the game when it comes to reimbursements. A new survey shows that physician groups (ranging in size from one physician to 1,000) and hospitals are increasingly leaning toward risk-based reimbursement products and away from fee-for-service. According to respondents, they consider fee-for-service products just too unstable and undependable for long-term revenue. Another interesting survey finding is that despite widespread pushback from providers over MACRA (Medicare Access and CHIP Reauthorization Act), survey respondents say they are willing to qualify as an Advanced Alternative Payment Model for Medicare under the new rule to find stable revenue. Although it will take substantial financial investment to build the practice infrastructure necessary to move to downside risk products, providers are urgently seeking some stable reimbursement ground. Medicare fee-for-service payments are expected to decline from 35% of federal revenues in 2017 to 29% in 2019. Medicaid fee-for-service and managed care revenues are expected to remain relatively unchanged through 2019. Medicare Advantage revenues are expected to increase 12% over that period, while Accountable Care Organization (ACO) revenue remains flat. Bundled payments are expected to increase from 1% of revenues to 2% by 2019. Fee-for-service revenues in the aggregate will decrease from 71% of total payments to 63% by 2019. Partial and full capitation payments are predicted to total 10% of revenues by 2019. Shared-savings products (i.e., commercial ACO) remain flat. Shared-risk products are expected to increase by 66% by 2019. Bundled payments are expected to increase from less than 1% to 2% by 2019. Lack of access to administrative claims data. Lack of actionable health plan data. The substantial costs of developing practice infrastructure necessary for downside risk products. Another obstacle for providers who want to move from fee-for-service was the lack of access to commercial risk products in their market. Fifty-nine percent of survey respondents said they had “little or no” access in their own market. With the expectation that nearly 60% of medical group and health system Medicare revenues will be from risk-based products by 2019, it’s no wonder that groups like the American Medical Group Association (AMGA) are calling on the government and other stakeholders to remove impediments to value contracts. 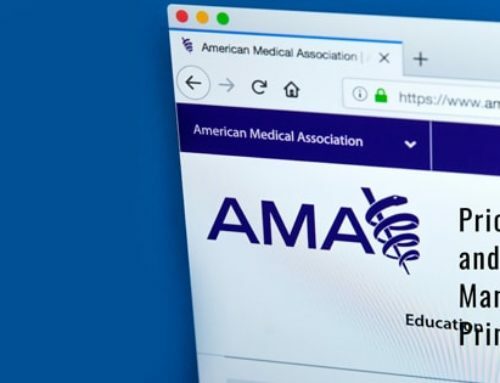 Federal legislation, including MACRA that incentivizes providers to become an Advanced Alternative Payment Model (AAPM) and receive a 5% bonus on Part B revenues. Increasing employer and payer demands. Medicare Advantage incentives that pay for improved care and lower costs. Respondents expect Medicare Advantage (MA) revenues to essentially equal Medicare fee-for-service payments by 2019. Change is the only constant in the healthcare paradigm. Comprehensive billing solutions that manage charge entry, accounts receivable, denials and credit balance resolution can create stable revenue, but outside payment has to have stability as well. Protecting practice and hospital revenue is of course the key to survival. It requires the implementation of proven internal revenue-generating systems while seeking the most beneficial external reimbursements. Whether you’re on the fence about the adoption of a risk-based model, just starting your implementation, or examining the results of your commercial plan, you’re not alone. More physicians are making the move away from fee-for-service to risk-based models. The biggest challenges remain the lack of access to commercial risk products in some regions and markets. Growing disillusionment with ACOs and the move to value-based care are increasing the adoption of risk-based products, a trend that more physicians and administrators appear to be embracing.